Autosonics sells and installs many different types of sonars/fishfinders. 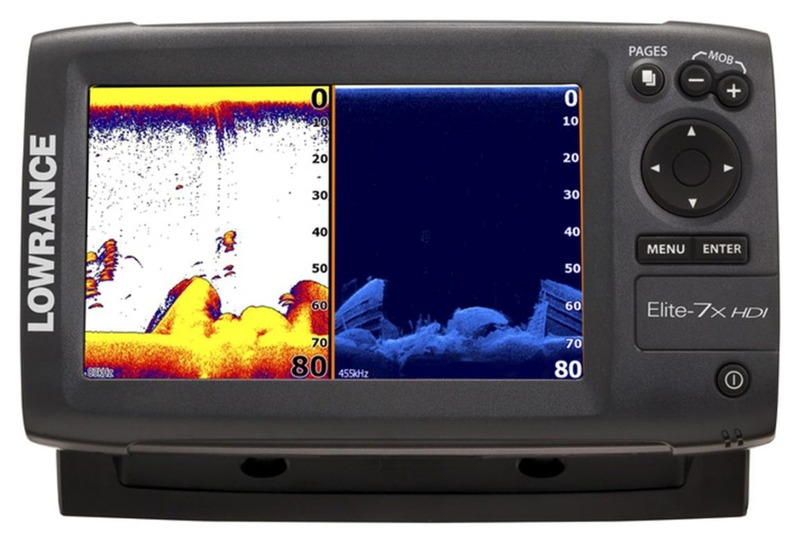 One of our most popular is the Elite-7x Fishfinder with a 7-inch display at an attractive, entry-level price. With built-in HDI that combines Broadband Sounder™ with DownScan Imaging™, the Elite-7x is a popular choice. Just like our sonar/fishfinders, we can install a wide variety of GPS's/Chartplotters. 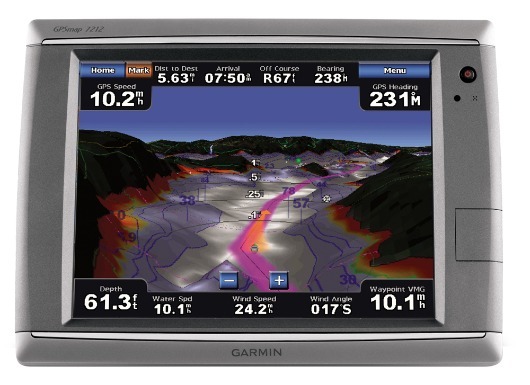 One of our best sellers is the touchscreen GPSMAP 7212 chartplotter. It is preloaded with BlueChart® g2 charts of the U.S. coast and video-quality resolution on a 12.1" (30.73 cm) XGA display. Get total system integration with support for sonar, radar and weather. Add optional BlueChart® g2 Vision® charts (sold separately) for Garmin Auto Guidance technology, high-resolution satellite imagery, above and below the water 3-D perspective, aerial photographs and coastal roads with points of interest. Garmin G Motion™ technology on the GPSMAP 7212 gives you blazing-fast map redraw and refresh rates, so you’ll have near real-time data to guide you. Whether you’re in a crowded harbor or in uncertain weather, you'll have confidence to navigate your surroundings. Its sleek and stylish design was built to brave the elements. Optional remote and computer mouse add flexibility. MarinerEye view and FishEye view provide a 3-D perspective, both above and below the waterline.High resolution satellite images and aerial photographs help orient you in unfamiliar areas.Auto Guidance technology searches through all relevant charts to create a route you can actually follow — one that avoids obstacles, shallow water, buoys and other obstructions.